The Days of Bulgarian Spiritual Culture in Russia took place in country’s largest cities: Moscow and Saint Petersburg. Concerts of “Ioann Kukuzel-Angeloglasniy” Camera Ensemble were held in both cities. 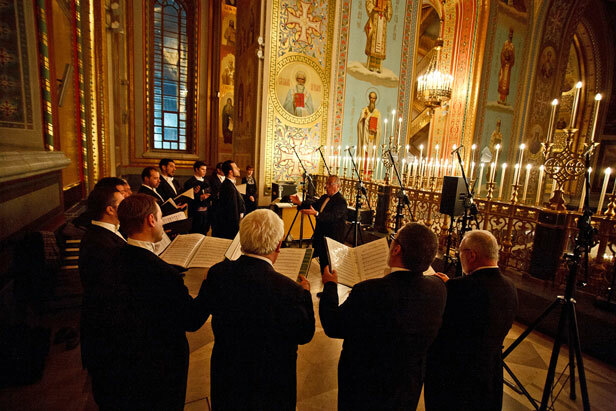 45 years ago the Ensemble’s musicians have revived almost forgotten art of Bulgarian ancient Orthodox Christian singing. Saint John Kukuzel was the greatest composer of medieval Byzantium era, the creator of religious Bel Canto and an improved notation system named after him. Because of his singing abilities, he was called Angel-voiced (Angeloglasniy, as it written in the Ensemble’s title).